Product Summary: Though it’s on the perfume-y side, this is one of my go to conditioners. When I comb with it my hair feels glass-like and the comb glides through my curls easier. It clumps and smooths well. Update 9/24/2016: This may be just about my favorite conditioner. I just used it again tonight and my hair feels glasslike after combing. Update 8/23/2016: I used this conditioner before visiting my stepmom, washing my hair the Saturday before I left. I braid my hair after it dries, and I usually leave it in that braid for a couple days. I do this to cut down on the wear and tear on my hair, but also because I’m lazy. I’d probably leave my hair in that same braid for longer, but my braid usually ends up looking like it needs re-doing by day two. However, after using this conditioner, I didn’t undo that braid until Wednesday (day four) because my braid still looked good. In fact, I only changed styles because it had been four days with the same braid. So I think I’ll start an informal category called Braid Conditioner, to note conditioners that keep my braid looking good for longer than usual. I was relieved to find another Herbal Essences conditioner without sodium hydroxide in it (along with ‘Hello Hydration’). 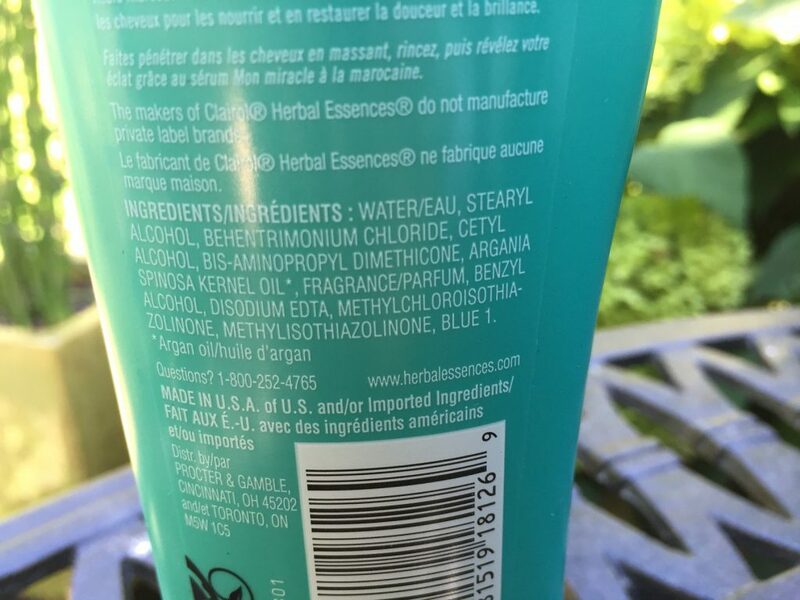 Clairol Herbal Essences ‘Moroccan My Shine’ Conditioner has nearly the same ingredients as all the other Herbal Essences conditioners. This one is slightly different from ‘Hello Hydration‘ in that it has a bit of dimethicone thrown in for a little extra slipperiness, and argania spinosa kernal oil for a teeny bit more moisturizing. ‘Hello Hydration’ has some extra do-dad ingredients thrown in after the fragrance, so you know it’s a tiny amount, and my guess is it’s there just to sound good since there’s so little in the product to do anything, even if those ingredients actually could do anything. Just some silk extract and flower extract. Putting silk in your hair does not somehow transfer the properties of silk to your hair. It’s there just to sound good. But it doesn’t hurt anything that it’s there either. 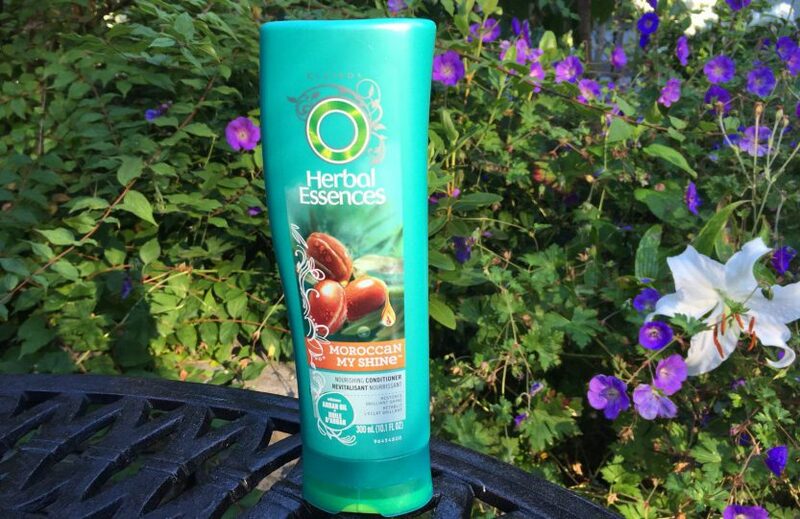 Herbal Essences ‘Moroccan My Shine’ Conditioner has the usual strong conditioner perfume-y scent, so if you are sensitive to scent, the Herbal Essence line might be one you avoid for that reason.